It’s Super Bowl LIII, or 53 for us who don’t know Roman numerals. 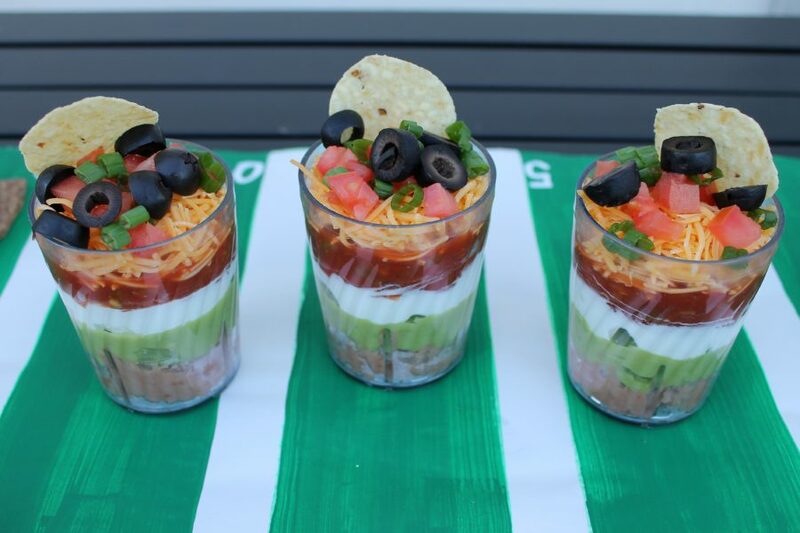 Whether your team is in the game or not, a DIY Super Bowl Pary Fun event can be celebrated with your family and friends. I love meeting up with my friends for the festivities and they love when I bring some yummy snacks and party decor. 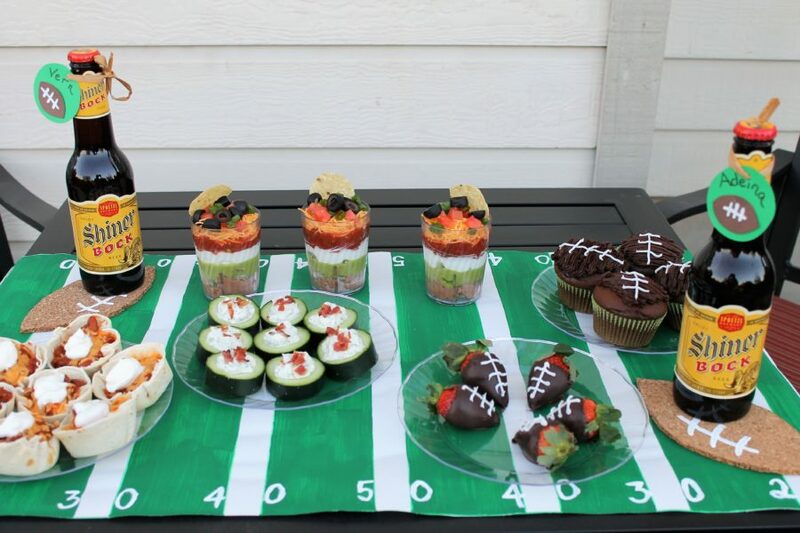 You don’t have to spend a fortune to create the decor and you don’t have to be a chef to create some yummy Super Bowl themed foods. I was even able to pick up most of my items at the local Walmart through their online grocer pickup service, which makes this party even easier to create. Here are a few of my favorites party treats and ideas. Roll the white paper out as long as you want it to be. Paint the front side of the paper with the Americana green acrylic paint. Let the paint dry and measure out your sidelines. Using the Americana Paint marker, draw white lines where the sidelines and yard markers should be. Let dry completely, and use double sided tape or glue dots to hold the runner to the table. 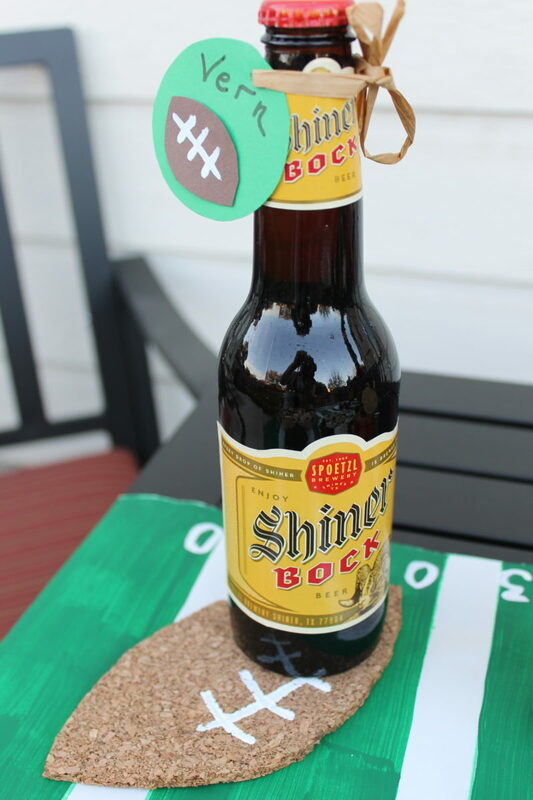 Cut the cork board sheet into the shape of a football; be sure to make it big enough to hold your drink of choice. Next, paint lines on the cork with the Americana Paint marker or acrylic paint to make it look like a football. Let it dry for about 10 minutes before you use it. Brown the hamburger in a large pot. Add the tomato sauce, crushed tomatoes, taco seasoning, ranch seasoning, both cans of beans and a can of water. While the soup is simmering, preheat the oven to 350 degrees. 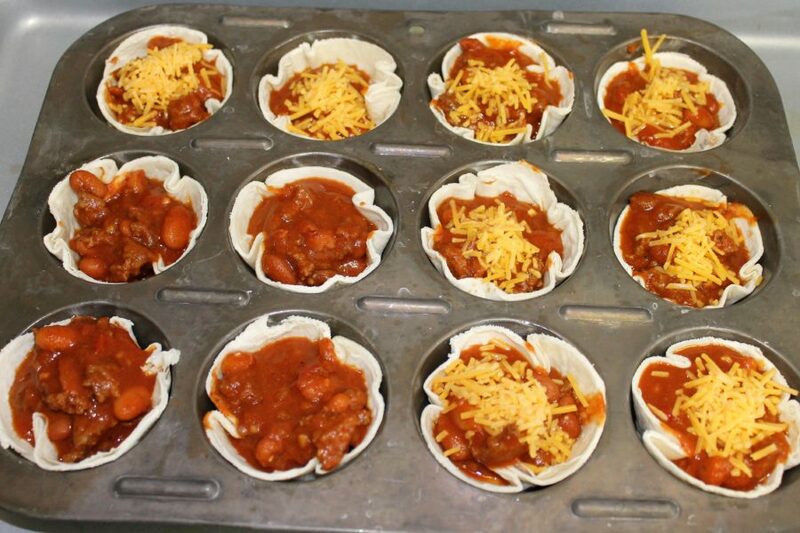 Lightly coat the cupcake pan with non-stick cooking spray or oil and place the cut tortillas into the cupcake pan, pressing them to the sides to make a cup. Bake them for about 5 minutes. 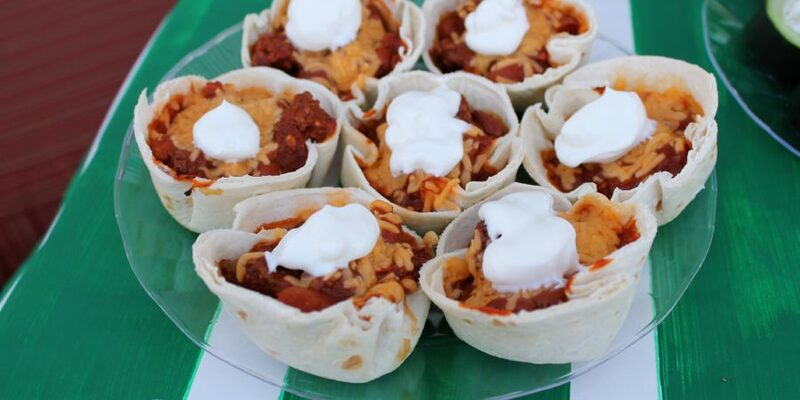 Once the taco soup is done, spoon it into the tortilla cup, sprinkle the top with shredded cheese and bake for another 10 minutes. 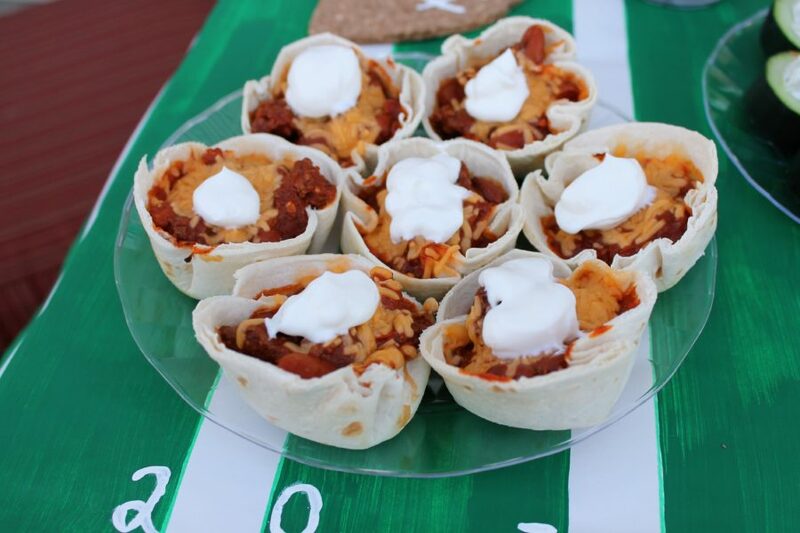 These are a great snack to make ahead of time and re-heat before the game. Place a dollop of sour cream on the top and enjoy. Layer every item in the list in the same order it is listed. You can create this in a large pan, or I really like to put it in individual cups so there is no double dipping. Place the cup on a plate filled with chips. First, make your dip and place it in the refrigerator to cool. 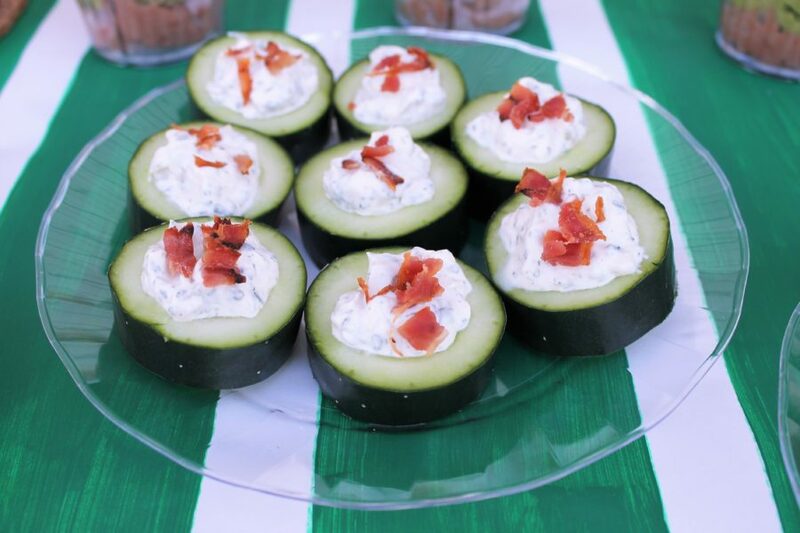 Spoon the dip into the center of the cucumber and top it off with bacon bits. Bake the cupcakes using the directions on the box. Let them cool for a couple of hours. Place the decorator tip into the decorating bag and tighten it with the coupler. Fill the bag with the chocolate decorator icing. Go back and forth on the top of the cupcake, making the lines thinner on the top and bottom to make it look like a football. 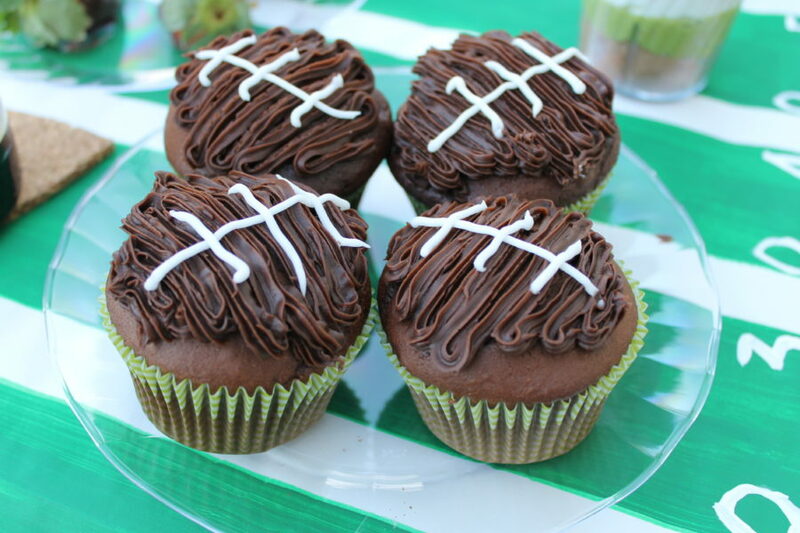 Draw lines on top with the white decorator icing to make it look like a football. First you will want to wash and dry your cans. Next, measure the construction paper to fit the outside of the can. Draw lines using the white paint to make the paper look like a football. 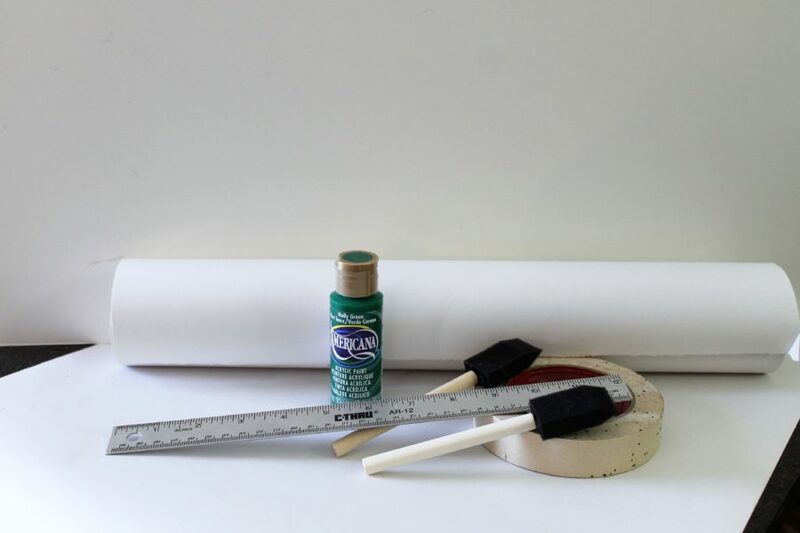 Place the paper around the outside of the can using glue dots to hold it in place. 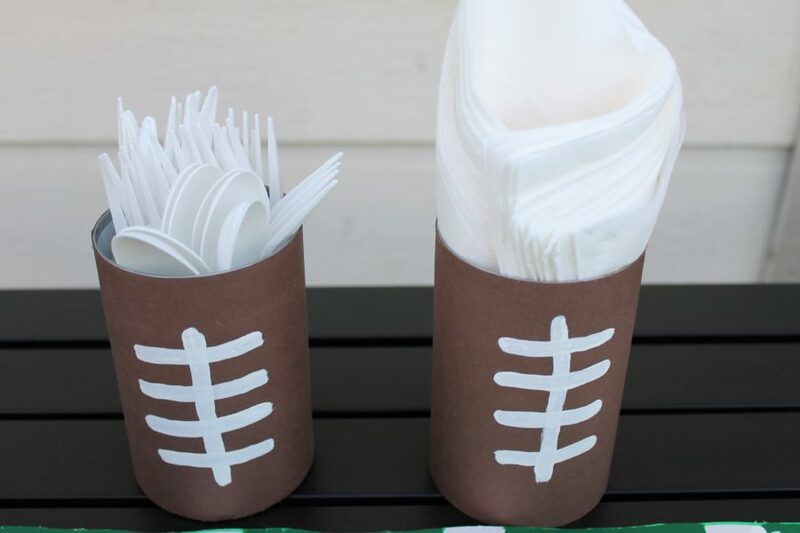 Fill the cans with silverware and napkins and anything else you will need for your Super Bowl party. Cut circles about 1 – 2 inches in diameter out of the green card stock. Next, cut small footballs out of the brown card stock, small enough to fit inside of the green circles. Draw lines on the brown footballs using a Deco Art paint marker or a thin brush and white Americana acrylic paint. Place the football onto the green circle with a glue dot. Draw the names of the party attendees onto the green part of the circle with a brown Deco Art paint marker. Poke a small hole into the circle and use string or wire to connect it to your drink of choice. Rinse and dry the strawberries, be sure to leave the stems and leaves on the strawberries. Melt the dark chocolate candy melts in the melting pot or a double boiler. Dip the tips of the strawberries into the melted candy melts and place them on a plate to cool, you can put the chocolate covered strawberries into the fridge to cool quicker. Using the ready to decorate white icing, draw a line on the strawberries to look like a football.